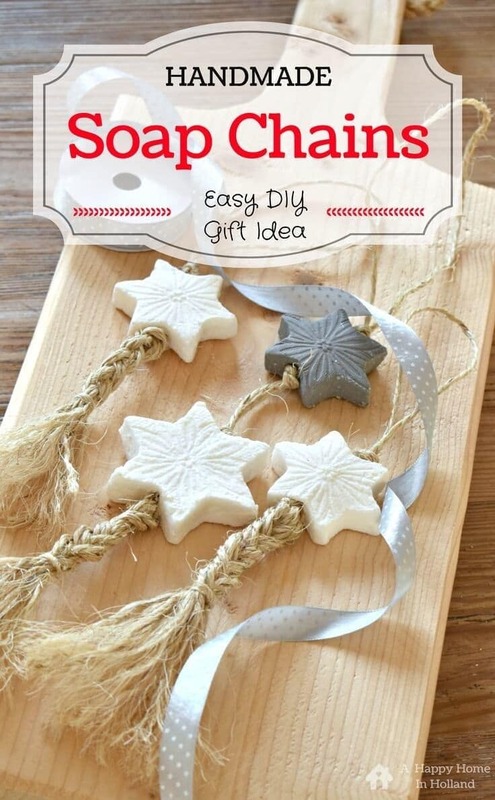 These Handmade Soap Chains make great gifts for the holiday season and what’s more they are super easy (and cheap) to make! 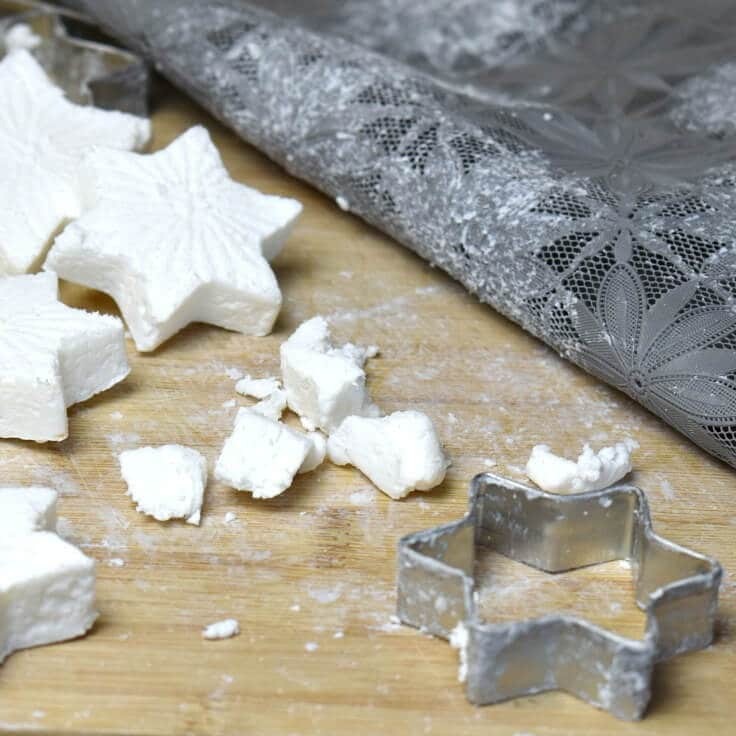 You don’t need any expensive ingredients or fancy equipment to make these (like you normally do with handmade soap), just ordinary bars of soap and things you probably already have lying around the house. 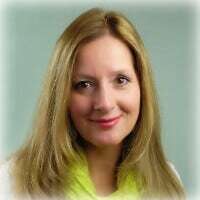 Hello Kenarry readers, it’s me Sam from the A Happy Home In Holland blog back with my second post here on Kenarry. Since I shared a very traditional Dutch Recipe last month I thought I would continue along the Dutch theme and share a tutorial on something that is very popular here in the Netherlands. Every other home seems to have them. The Dutch people often have them displayed in their downstairs wc / bathrooms. And not only do they look cute but they smell good too! Finely grate your bars of soap – initially, for my first batch, I used a cheese grater to do this – but me being me (a bit lazy 😉 ) thought I’d take the easy route and threw it in an old food processor, it made a bit of a racket (well a lot actually) but did the job. (*Warning* depending on how hard your soap is there is a risk of damaging the blades of the machine so I wouldn’t do this if you have a smart new machine – if you do want to try this then at least make sure you only use a fairly soft soap and cut it into smaller pieces first). Put grated soap into freezer bag. 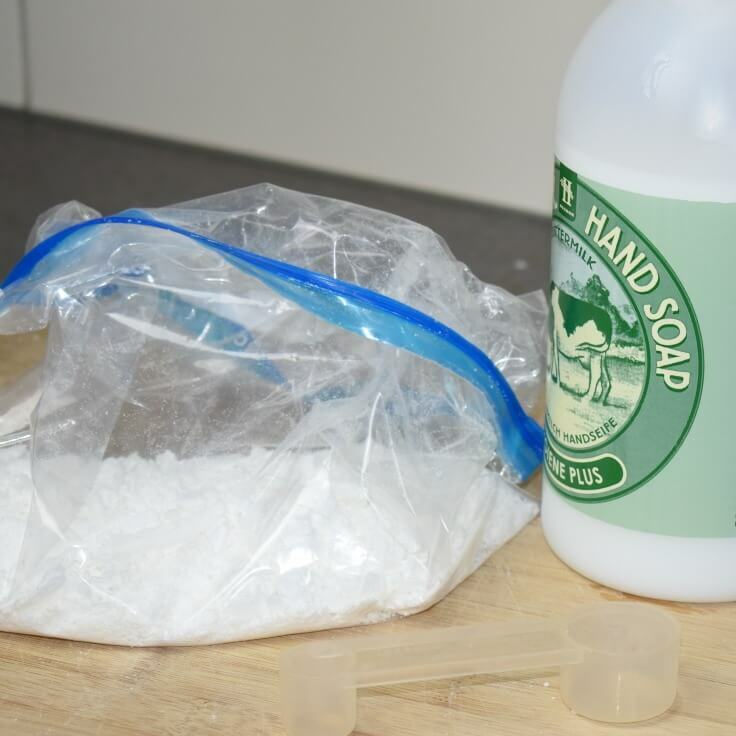 Add 1 tablespoon of the liquid soap and approx 3 tablespoons of water (I would add this a little at a time as you do not want the mixture to get too wet – every soap brand will react differently). Seal the bag and knead with your hands until it becomes smooth and begins to stick together. Take a large chunk of the mixture out of the bag, kneed it to soften it a bit more then shape into a ball and flatten to about 1 inch with your hand. 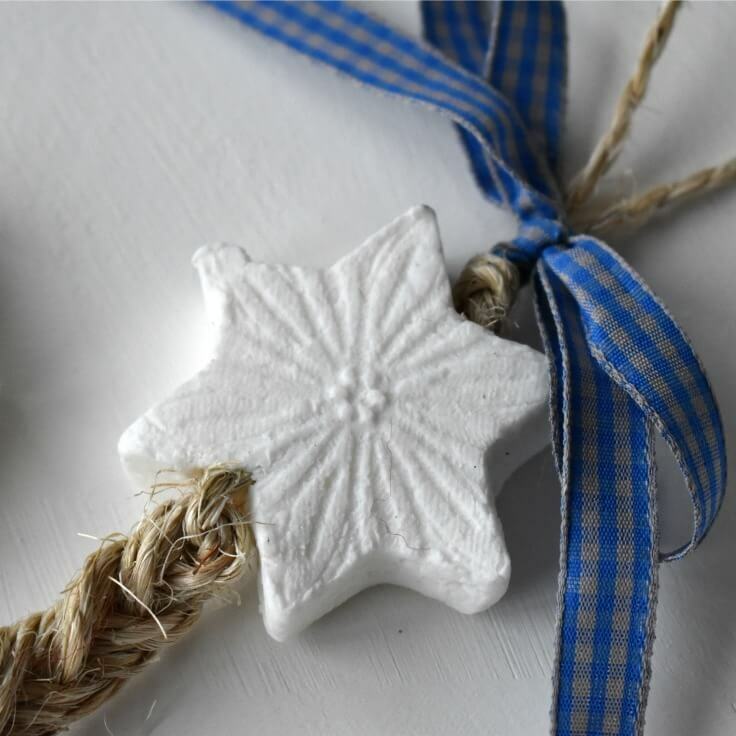 Using your mat (or whatever you have) and a small rolling pin roll the imprint into the soap – make sure you don’t roll your clay out too thinly – aim for approximately 3/4 of an inch thickness (it needs to be thick enough that you can make a hole the size of a straw without destroying the shape). Re-roll and repeat until you have enough shapes and have used all your soap. Take a skewer and carefully make a hole down the centre of the soap and then push it through a few more times to widen the hole. Now take a plastic straw and carefully push through the hole to create a larger and cleaner hole that will be big enough to put your string through (if your soap crumbles you either need to knead it a little bit more or make you shape slightly thicker). If you want to use the air drying clay shapes together with the soap I did this using the exact same process as with the soap (knead, form a ball, flatten, imprint your pattern, cut shape out and make hole through the centre). 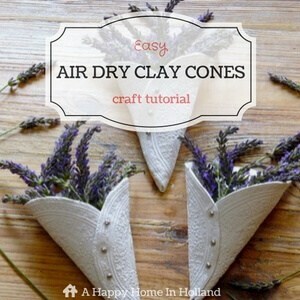 Allow the soap / clay shapes to dry a day or two. Now you can assemble your soap chains – this is where you can go crazy and thread any combination of shapes, beads and embellishments on to your chain. 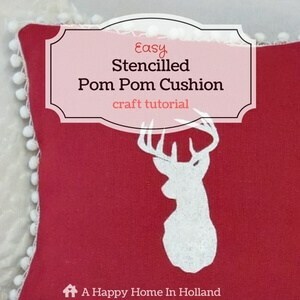 Initially I had another design in my head using large natural wood beads and either a thin red gingham or burlap ribbon but was not able to find these items locally. I didn’t want to wait so I decided to create something using the stone look air drying clay and some twine which I already had at home. 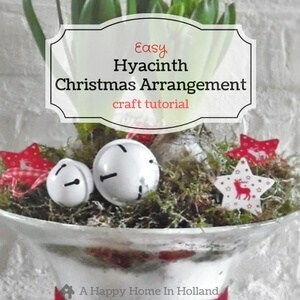 Take approx 1 yard of your twine, fold in two and knot about 4 inches down from the top to create your hanging loop. Thread the two ends of the twine through the soap and pull the soap up to the knot. If you want to add more shapes or embellishments knot under the soap and repeat. 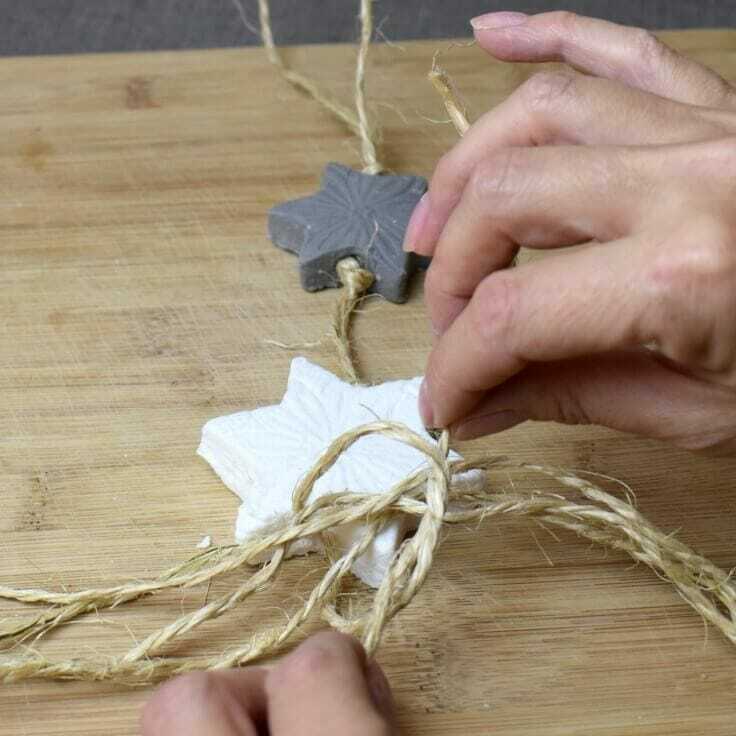 To make the tassels cut 4 x 15 inch lengths of of the twine and lay underneath the soap and tie with the two pieces of twine. Cut another 8 inch length of twine and unravel and split the strands so that you have a thinner piece of twine. Now you should have 10 pieces of twine hanging down which you need to split into 3 sections (3/4/3), plait or braid these as neat as you can. When your plait or braid is long enough use the thinner piece of twine to secure (I knotted mine securely at the front then repeated again at the back). 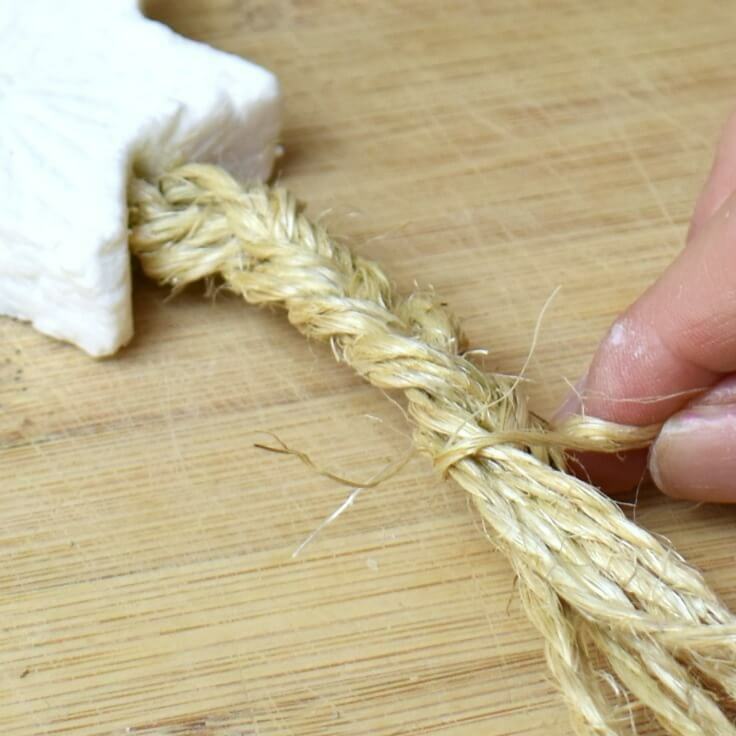 Now unravel the ten lengths of twine to create a tassel on the end, then trim to neaten. As you can see these are pretty easy and once you have made your handmade soap shapes you can let your creative side go wild and come up with all sorts of combinations and fab designs. I love the simplicity of these handmade soaps and think that they make fabulous gifts. Perfect for the Holidays! 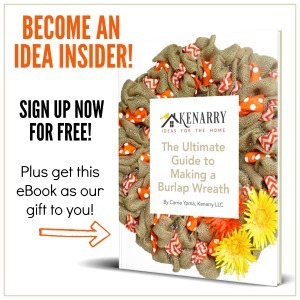 Need another DIY gift idea? These Leather Keychains are a beautiful and practical craft idea. I’d really love to see you over there!